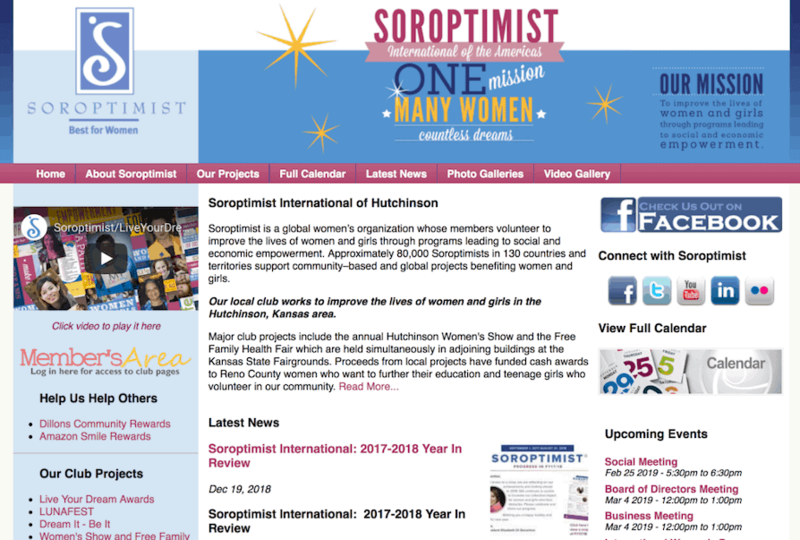 The local club in Hutchinson, Kansas works to improve the lives of women and girls in the Hutchinson, Kansas area. Major club projects include the annual Hutchinson Women’s Show and the Free Family Health Fair which are held simultaneously in adjoining buildings at the Kansas State Fairgrounds. Proceeds from local projects have funded cash awards to Reno County women who want to further their education and teenage girls who volunteer in our community. The original SI Hutch website was created in Google Sites with emphasis on membership options and uploaded, shared documents, but as the club projects required more and more online presence and promotion, the group needed a more modern approach to their website design. The international organization provided template options for the club website, and I was hired to put it all together. It was the first time I had used Drupal instead of WordPress, and it was both interesting and fun to try something new.